After 1967, 1979 is probably my favourite year for record releases. Back then it was always a joy to hear the latest single by The Undertones and 'Here Comes The Summer' from '79 was no exception. 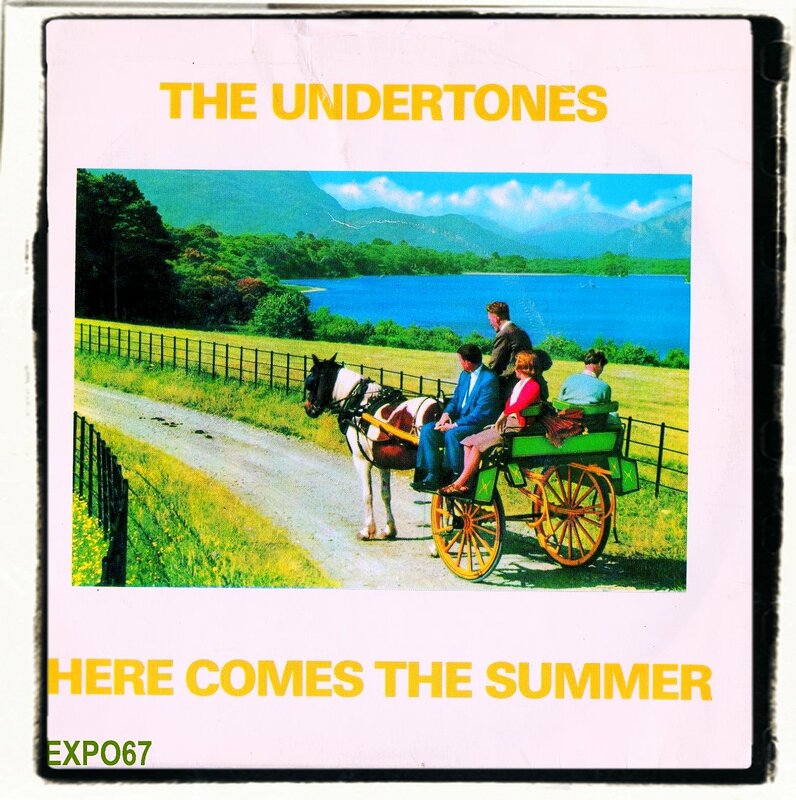 Now that I'm older and wiser I fully understand that The Undertones were very much influenced (in a small way) by 60s garage bands from the Nuggets compilation. Members of the group have never hidden this fact. Back in 1979 when this record came out I was only 14 years old and had never heard of Nuggets, let alone what the 60s garage sound was all about. 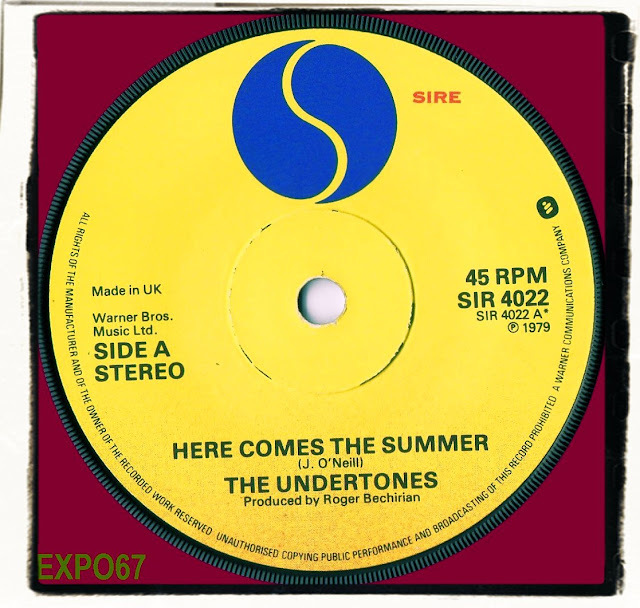 'Here Comes The Summer' is a terrific punk tune with a mid 60s edge. It's dominated by a combo organ, probably a Vox Continental. If anyone knows for sure please let me know. This song was also used in a UK advert recently. 'One Way Love' on the flip borrows the riff from 'Last Train To Clarksville' and sounds so much like The Monkees. It's the first time I've played the B-Side for decades....coolsville.